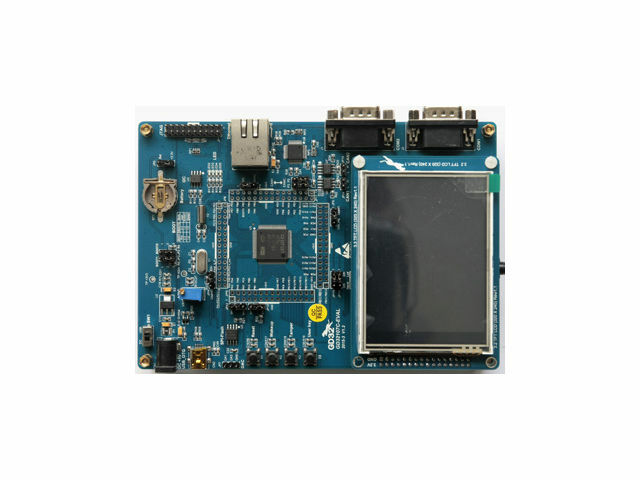 TME’s offer has been enriched by development kits dedicated for GIGADEVICE microcontrollers with ARM Cortex-M3 core. We offer both development kits (GD321XXX-START) and more advanced evaluation kits (GD321XXX-EVAL). Through the development kits, the user can easily gain access to all I/O lines of the microcontroller. They can be accessed via pin headers, which facilitates prototyping and enables adding new electronic components. All development kits are equipped with a built-in programmer/debugger, which enables you to start your work right after unboxing the kit and connecting it to a PC with a USB cable. The evaluation kits, apart from the features shared with the development kits, also feature numerous peripherals (including interfaces), additional memory, and graphic displays, which enables creating and testing more advanced applications.